Heat a non-stick pan over medium heat. 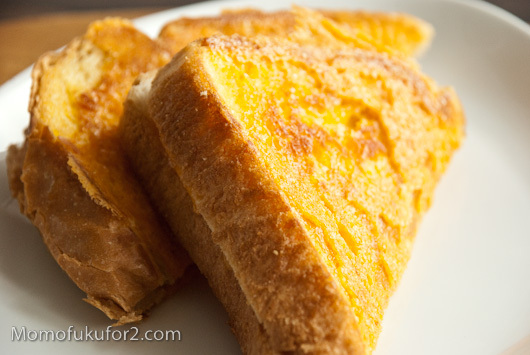 Butter each slice of bread. 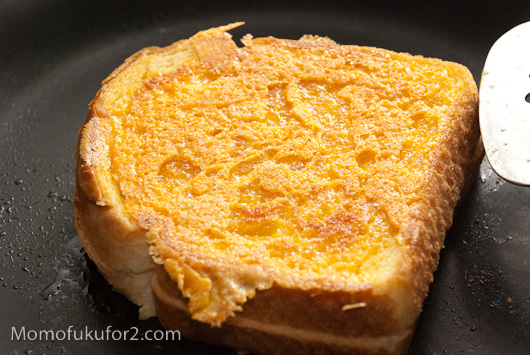 Place both slices of bread in the pan, buttered-side down. 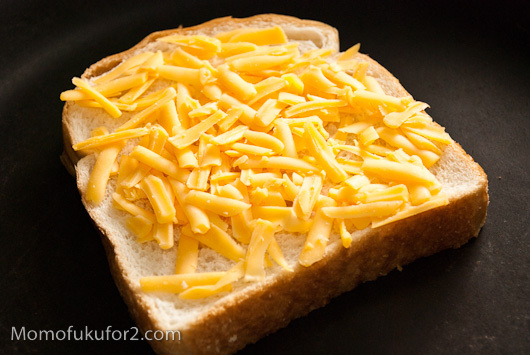 Pile shredded cheese on to one of the slices, and cover it with the other slice of bread. 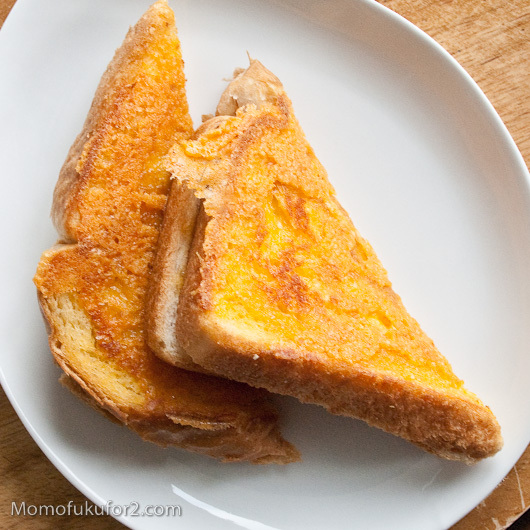 You should now have a regular looking grilled cheese sandwich. 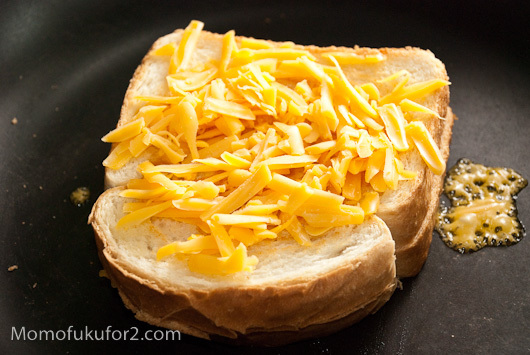 Put shredded cheese on the slice of bread facing you and flip the sandwich so that the outside cheese toasts and gets crispy. 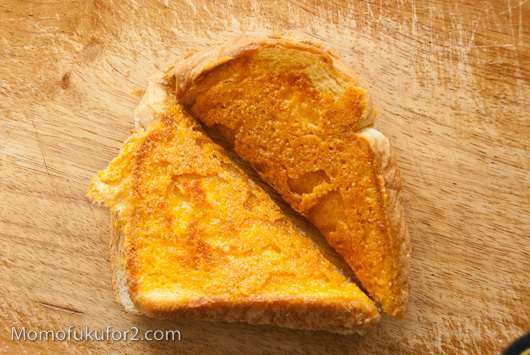 Place the remaining cheese on the last un-cheesed slice of bread and flip and grill. Enjoy hot! Notes from me: I abhor teflon, and find that a properly seasoned cast iron frying pan works just as well. 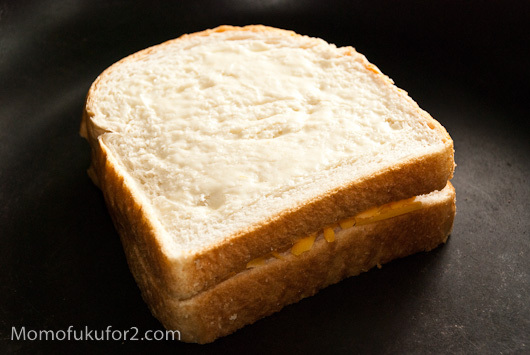 I had trouble flipping the sandwich with all that shredded cheese on the outside; you can either cover the pan while one side grills to melt the cheese on the other side, or, as I did, place a small pile of cheese directly onto the hot surface, let it melt and flatten a bit, then set the sandwich atop that and proceed as directed from there.